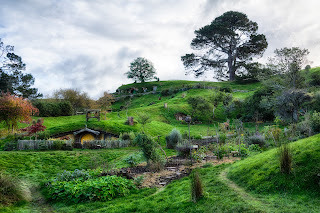 A Hobbit’s Life: "If more of us valued food and cheer and song above hoarded gold, it would be a merrier world." There are days, sometimes weeks, where I would give almost anything to have a small comfortable hobbit hole in the Shire. To sit on a bench in front, relax, and have nothing more important to worry about than if there are enough seed cakes for the supper guests. 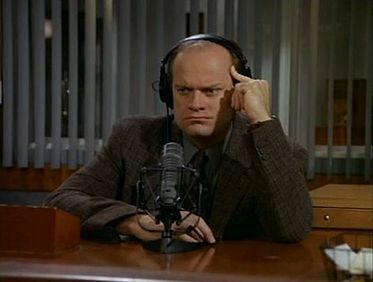 One of the TV shows I am re-watching my way through right now is Frasier, one of my all time favorite shows. While most of the time Frasier is a pompous windbag and you have to laugh at him; one episode ("The Friend" [S3.E11]) really struck a chord with me. 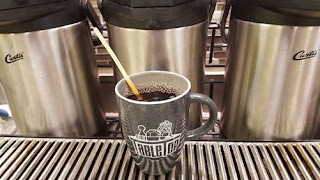 There is more to coffee than the caffeine. More to coffee than hot. More to coffee than Brownian Motion*. Coffee is more about creation than consumption. Most mornings I have just about enough time to pop a coffee pod into the Keurig and press BREW, this is not creation. This is consumption. This is the understanding that I need caffeine NOW and there is nothing for it, no time to savor the creation. However once in a while there comes a day where creation is king. Weekends were made for Coffee. (This is not coffee, but Coffee, the idea, the dream, the Coffee.) The ritual creation of something so pleasurable that the act of creation is more important than the end result.